Alan Campbell is an environmental / expedition artist from Athens, Georgia who has created a most unusual career working with large scientific research programs in some of the most remote locations on the planet. Following in the tradition of the great exploring expeditions of the past, Campbell has journeyed four times to Antarctica as a visiting artist with the U. S. Antarctic Program under a grant from the National Science Foundation, most recently in 2005, for a total of nearly a full year on "the ice". 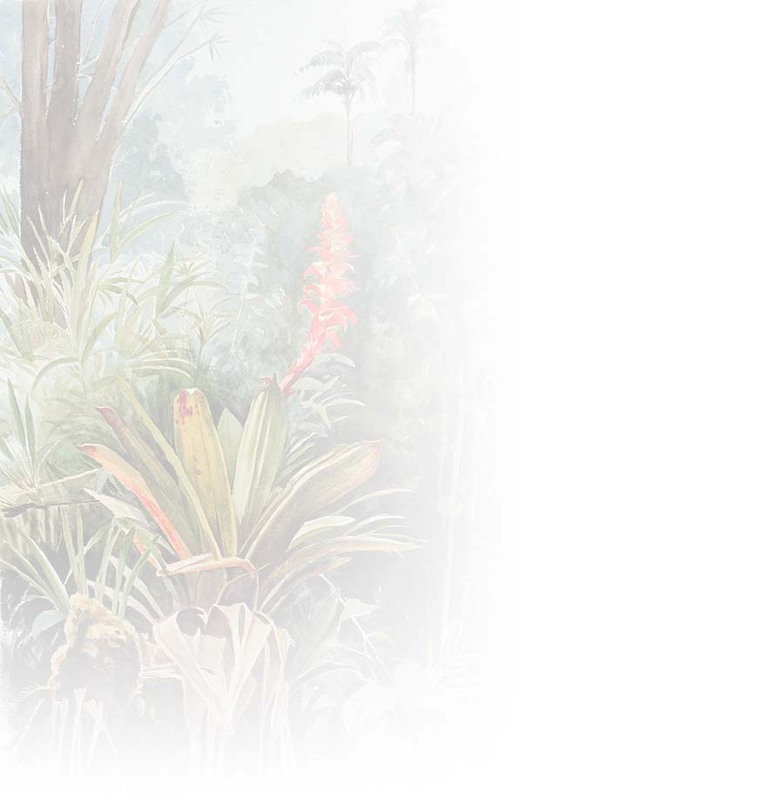 In this same merger of art and science Campbell has journeyed numerous sites in Costa Rica and Peru as a visiting artist with the Organization for Tropical Studies, where he created paintings for a series of exhibitions depicting the rich biodiversity of the tropical rainforest. This quest to capture a sense of place and remoteness has also led the artist to Kenya, the Galapagos Islands, Chile, Ecuador, New Zealand and Italy. In addition he has captured the unique beauty of Montana, Arizona, Wyoming, Alaska and Maine. And much closer to home, his ongoing work among the barrier islands of coastal Georgia has led to his newest project depicting the vanishing Gullah culture of the low country of Georgia and South Carolina. Consistent throughout all of Alan Campbell's work is his well-known ability to orchestrate color, light and luminosity to evoke the sense of place that resonates in his paintings from these most magical and mysterious of locations. Alan Campbell received his Bachelor of Fine Arts with honors from the University of Georgia in 1973, and completed his MFA at UGA in 1975. Further studies were completed at the University of California at Berkeley, Valdosta State University, and with the UGA Foreign Studies Program in Cortona, Italy. He has had over 50 one-man exhibitions in museums and galleries in the United States, Italy, Chile and New Zealand, with important sponsorships from Mobil Oil, the United States Embassy (New Zealand and Chile), Lockheed Martin, the Cecil B. Day Corporation, AT&T and BellSouth. The artist has received additional support from Patagonia, R.E.M., the Turner Foundation, the Frances Wood Wilson Foundation and a grant from the Georgia Council for the Arts and Humanities. His various projects have also partnered with numerous non-profit organizations, including Earthwatch, The Nature Conservancy, The Ossabaw Foundation, The African Wildlife Foundation, Athens Clarke Heritage Foundation and Earthshare of Georgia. In 2008 his paintings and those of his artist son Colin from their work in Antarctica were the featured exhibit at the inaugural Eco Focus Film Festival at the University of Georgia in Athens. 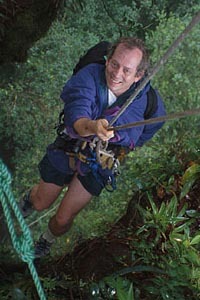 Alan Campbell's work has graced the covers of Reader's Digest, Athens Magazine, and The Sciences (New York Academy of Science), Boletin Antartico Chileno, Georgia Alumni Magazine, The Scientist And Southern Distinctions. In addition to these magazines, articles about his work have appeared in the New York Times, Chicago Tribune, Christian Science Monitor, Atlanta Journal -Constitution, New Zealand Herald, El Mercurio (Chile), Airone (Italy), Washington Post, Charleston Courier, The Explorers Club Journal and numerous other publications in the United States, New Zealand and Europe. His unusual career has also received wide coverage on television and radio, including National Public Radio's "All Thing Considered", Radio and TV New Zealand, and a documentary on Georgia Public Television. He has lectured widely in the U.S., Chile and New Zealand, including appearances at The Smithsonian Institution in Washington, D.C. and The Explorers Club in New York, to which he was elected a Fellow in 2004. Alan Campbell's paintings are found in many of the finer corporate and private collections of Georgia and the southeast, and in selected collections throughout the U.S and abroad. All images contained herein ©2001 Alan Campbell Studios.